Thank you! 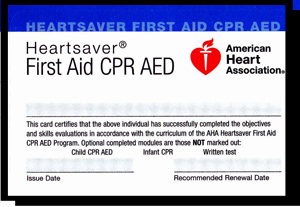 You have successfully ordered your replacement AHA CPR card. Please allow up to 2 weeks to receive the new card in the mail. If you have any questions regarding your order feel free to CONTACT US.